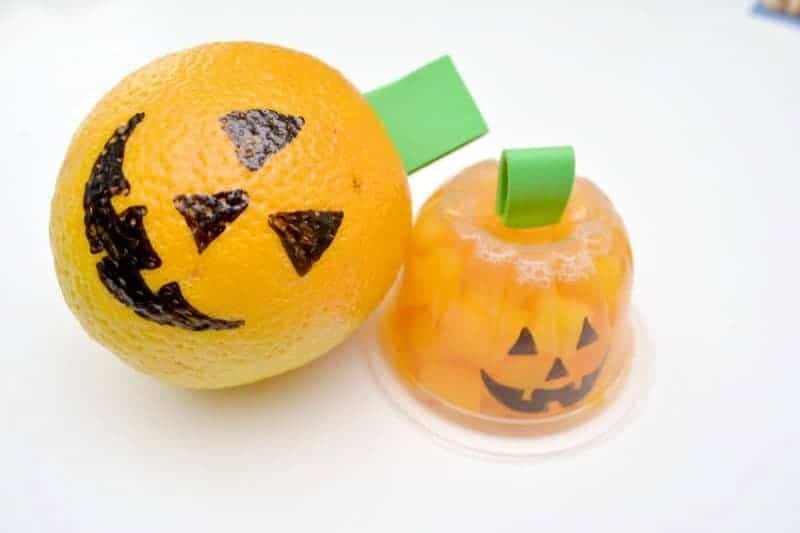 Today on The Inspiration Edit I am sharing a healthy HAlloween snack for the kids.We have the Jack-o-Lantern Orange and Peach Slices snack. It’s simple and easy and makes an every day healthy snack that little more spooky. Halloween treats have been a bit of a thing this year and we have shared quite a few. 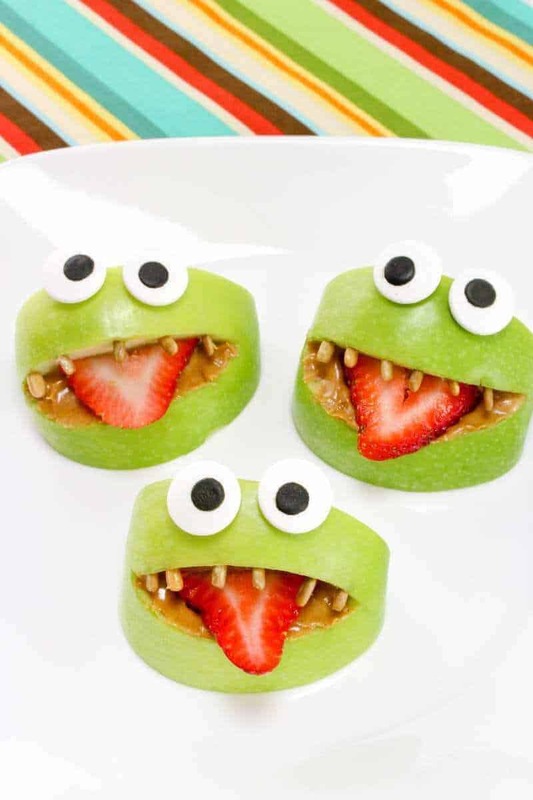 Check out our funky Halloween Apple Monsters and our Cheese and cracker Halloween treats. They are spooktacular. 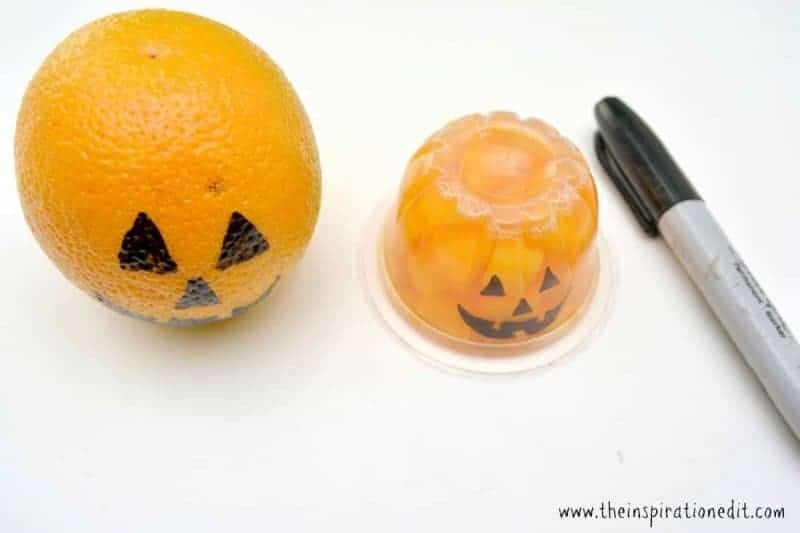 Begin by drawing the face of a Jack-o-Lantern onto the front of the orange itself, or on the front of the peach or orange slices container. Cut out a long rectangular piece of the green craft foam. 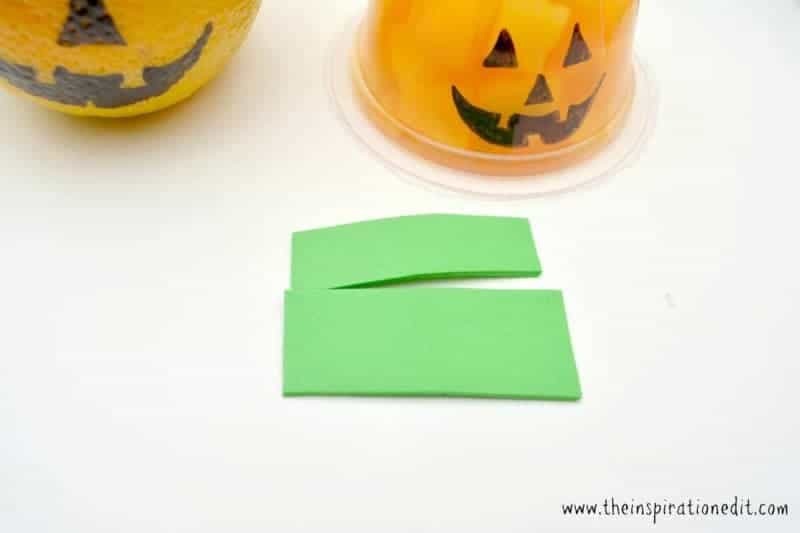 Fold the rectangle in half forming a loop, and hot glue the loop to the top of the orange or orange/peach slice container to form the stem of your Jack-o-Lantern. 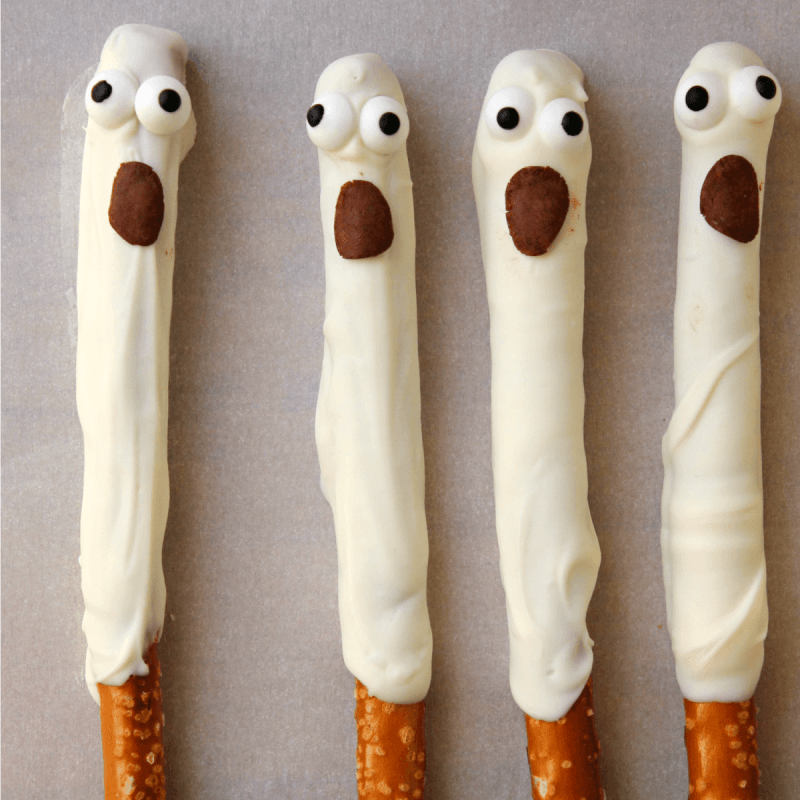 These Funky Ghost Pretzels are sure to spook this Halloween. 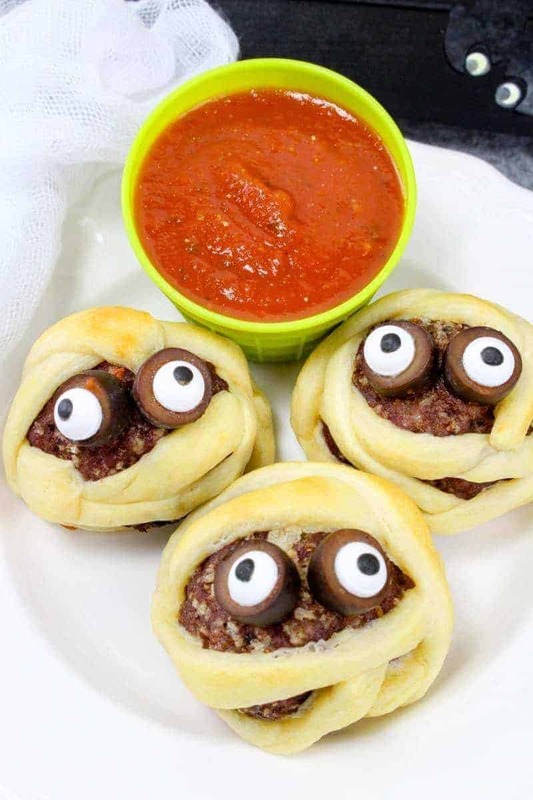 As are the Mummy Meatballs. What about Funky Apple Monsters. Ahh! 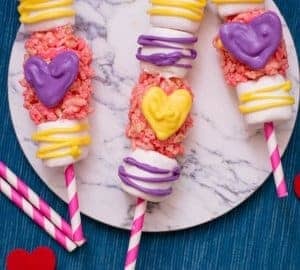 Such adorable treats! My favorite are the white-chocolate dipped ghost pretzels! 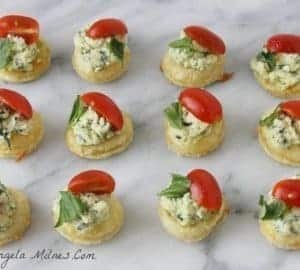 These are such cute and simple ideas! 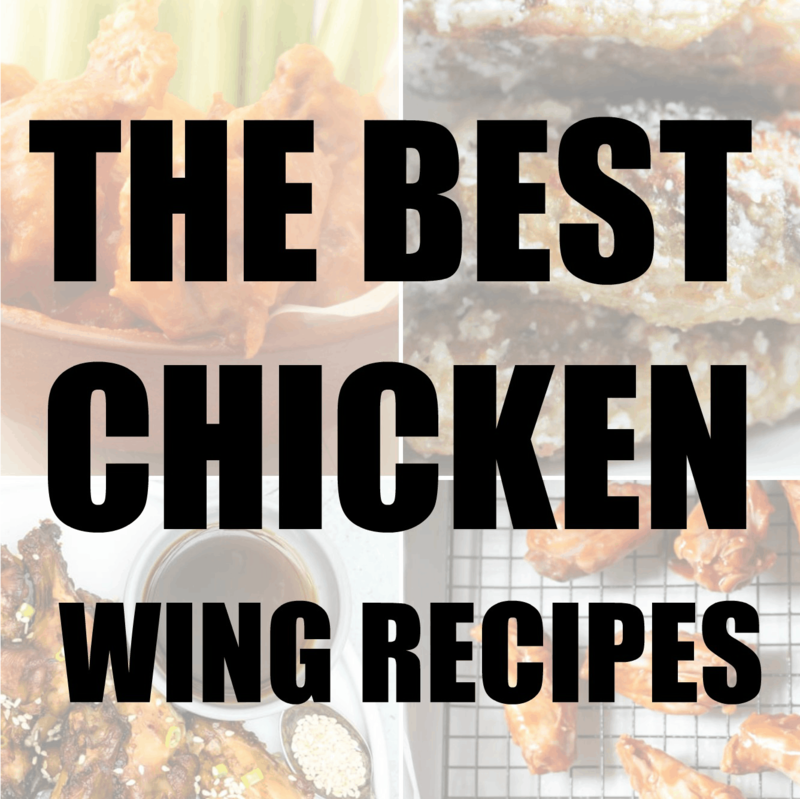 I love finding stuff that is healthy and fun at the same time. And it doesn’t take much prep work for mom! We made the fruit cup ones before, when my oldest was in preschool. His classmates loved them. awesome. 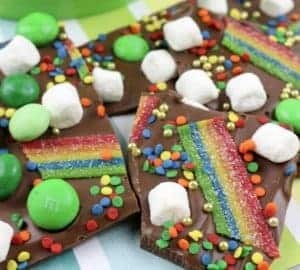 It is a fun idea and yes i imagine the kids would love it. What a cute idea! The pumpkin craft is so simple and perfect and will clearly make the kids smile. The funky apply monster is hilarious too! Yes it is cute. Glad you like the apples! They are my favourite!